Manny Pacquiao’s family was once so poor they often had to go without rice. Ahead of the Philippine hero’s big fight with Floyd Mayweather, Simon Parry traces the boxer’s story back to where it all began. When Manny Pacquiao steps into the ring in Las Vegas tonight (Sunday morning Hong Kong time) for the biggest and, many believe, final fight of his career, a small, squat man with crooked features and a sandpaper voice will be squinting intensely at his television set, 12,000km away. 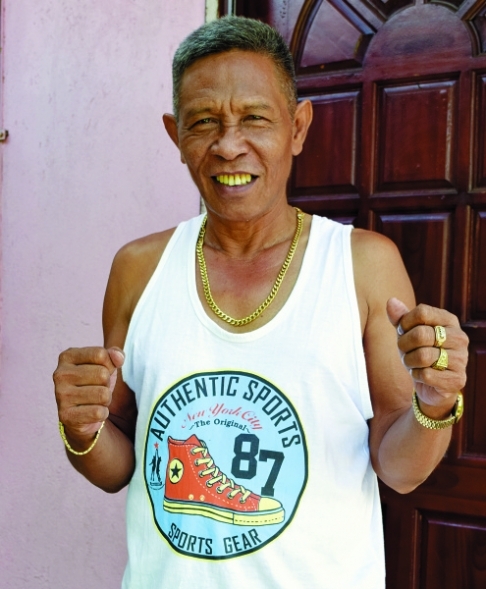 In a potholed neighbourhood of the dusty southern Philippine city of General Santos, Sardo Mejia will be living every punch and shimmy, and yelling imaginary ringside advice as the man with the expectations of every Filipino on his shoulders slugs it out with Floyd Mayweather Jnr in the US$300 million boxing match billed as the Fight of the Century. More than almost every other one of his countrymen, the man known affectionately as Uncle Sardo has reason to hope that Pacquiao prevails. It was this maternal uncle who introduced Manny to boxing when the 12-year-old dropped out of school, in 1990. 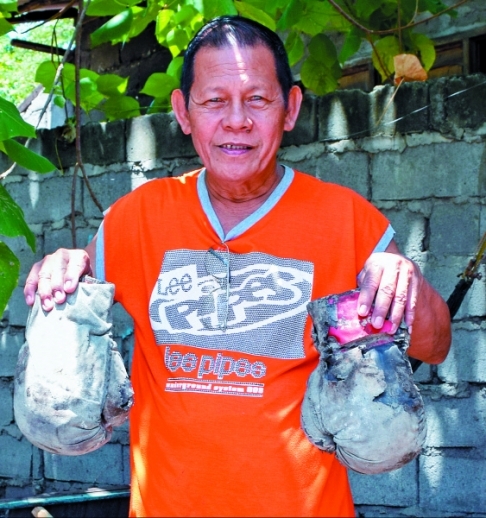 Surrounded by chickens in the yard of his simple one-storey home in the city where Manny lived between the ages of 10 to 15, Mejia reverentially retrieves two moth-eaten lumps of cloth that he keeps like a holy relic in a glass cabinet in his living room: Pacquiao’s first pair of boxing gloves. “If it wasn’t for me, there would be no world champion Manny Pacquiao,” says the 67-year-old, with a proud smile. Sardo Mejia, or Uncle Sardo, with Pacquiao’s first pair of boxing gloves. As he reflects on the role he played in turning a skinny rural boy into one of the world’s wealthiest sportsmen, who will earn US$100 million from the Las Vegas fight alone, he talks of the boxer’s boyhood as if it were yesterday. In his autobiography, Pacquiao – now 36 and the first fighter in history to be crowned champion in 8 weight divisions – writes warmly of his debt to Mejia. He describes watching Mike Tyson’s shock defeat to James “Buster” Douglas in 1990 on television with his uncle as an experience that “changed my life forever”. With the enthusiasm of an armchair fanatic who had finally found an outlet for his passion, Mejia threw himself into training his young charge, transforming a room of his home into a makeshift gym. Training the wiry youngster, who moved from the remote southern coast of Mindanao into Uncle Sardo’s home with his family, was no easy task at first. 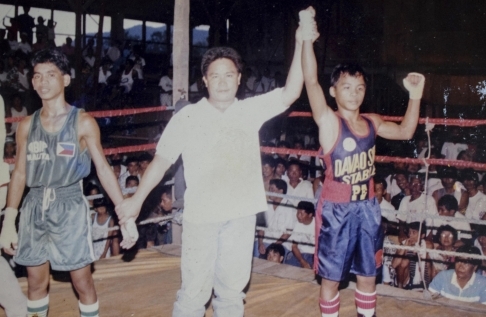 A young Pacquiao is declared winner at one of his early bouts in the Philippines. What set Pacquiao apart were his attitude and a hunger to succeed. “He always had great self-discipline,” says Mejia. “He learned everything so fast. He practised all the time and he would get up at 4am to go jogging. Pacquiao began boxing in an open-air park in General Santos, beating all-comers. He then travelled to Davao City, 150km away, to take on higher-ranked opponents. Within three years, he had established himself as the best junior boxer in the southern Philippines. At the age of 15, he stowed away on a boat to seek out greater challenges in the capital, Manila, sleeping on the streets and inside the boxing ring of a gym as he continued his training. Pacquiao’s transformation from scrawny school dropout to junior boxing champion is just one of the chapters in an astonishing rags-to-riches story that makes the working-class boxers who famously rose from the ghettos of post-war America seem almost to have been born with silver spoons in their mouths. Until the age of 10, Pacquiao had never seen a TV set and had never set foot in a town or city. He lived with his parents, sister and two younger brothers in a single-room shack in Tango, in a rugged landscape of coconut groves, dense jungle and coastal mountains some 50km south of General Santos. The boxer – who is reportedly buying a US$12 million Beverly Hills mansion once owned by rapper Sean Combs – lived a life of abject poverty. His father, Rosalio, would clamber up as many as 70 trees a day to gather coconuts, struggling to earn enough to feed his family. 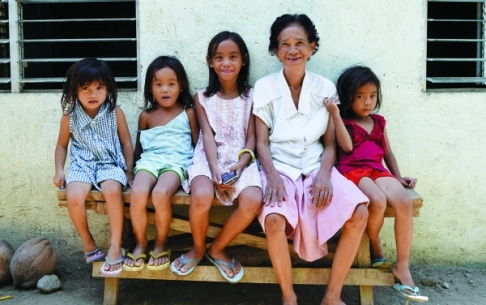 Pacquiao and his family were poor even by the wretched standards of other villagers in Tango. One uncle – Benito Bequilla, 67, who would take him fishing – recalls that they were so hard up they could rarely afford even to eat rice. 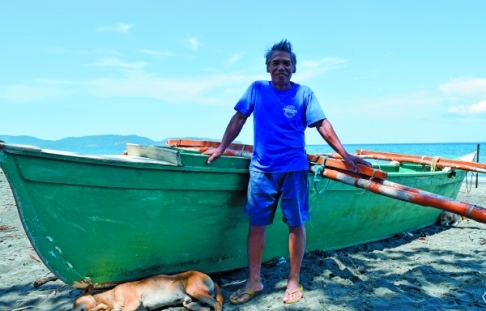 In front of Bequilla’s house is a fishing boat owned by the boxer and a black and gold fishing net he uses when he visits Tango, where he is now known not only as a famous boxer, but as a congressman, too. Having been elected to represent the Sarangani region in 2013, many people tip Pacquiao as a future president of the Philippines. Uncle Benito Bequilla, with Pacquiao’s fishing boat. “When he comes to visit, we go fishing together for a few hours. Even though he is a famous man and a busy congressman as well, he never forgets. This is his home and he loves to come back here,” Bequilla says. “Manny will come to the village and he will take me to one side and whisper in my ear, ‘Uncle, I’ll give you 15,000 pesos [HK$2,625]’, or ‘I’ll give you 20,000 pesos’. Emirina Edrina recalls how Manny’s mother – a cousin of hers – was loving and resourceful, but strict. “Once, when he was seven or eight, she tied him to a coconut tree for half an hour and let him get bitten by ants as a punishment for not coming home on time,” she says. “He didn’t cry. Edrina, 47, and her extended family last year moved into a home in a new settlement for 200 families in Tango called Pacman village – Pacman being Pacquiao’s nickname. Pacman village, a settlement for 200 families built by Manny Pacquiao, in Tango, near General Santos. 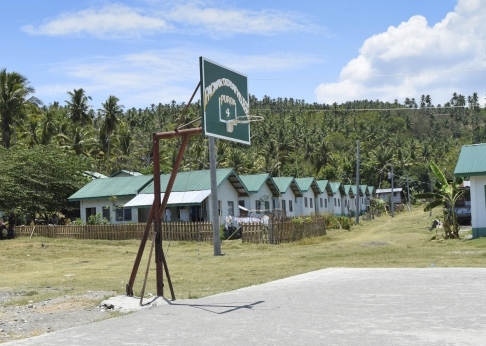 The settlement of simple homes is one of a number Pacquiao has funded in the region. Despite his largesse, however, villages throughout the area remain poverty-stricken and troubled by Muslim insurgents. Tango and other communities are subject to night-time curfews and roads through the region are dotted with police checkpoints, which have proliferated since 44 officers were killed in a shootout with insurgents north of General Santos in January. 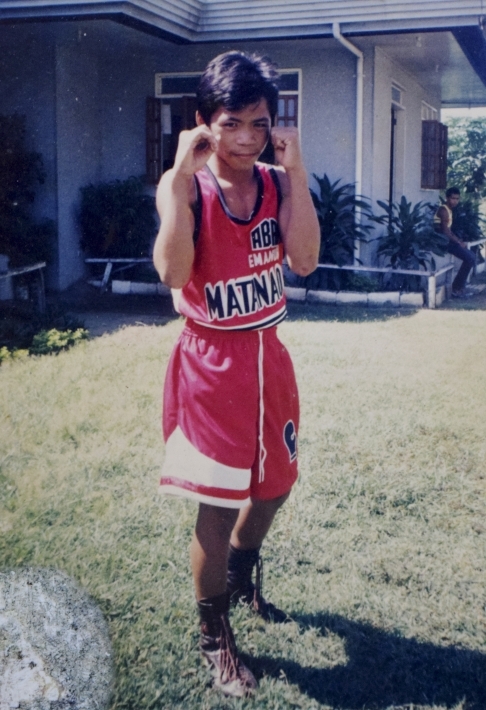 As he grew up, Pacquiao’s family were taunted for being less well off than most in Tango and his first fight, at the age of nine or 10, was against a boy who teased his younger brother, Bobby, for being “poorer than dirt”. Pacquiao floored his brother’s tormentor with a single left jab. Constancia Pelayo, 68, was Manny’s teacher in his final year of primary school, when he was 10. She says she believes the discipline – and perhaps occasional beatings – she administered played a part in his later success. “I am not surprised he is so famous because when I got angry with Manny and his classmates, I told them, ‘You can do what you like when you are rich. In the meantime, I am your teacher and you will obey me,'” she laughs. Pelayo, who retired in 2007 after having taught at Tango primary school for 38 years, says, “You can’t educate children without discipline. Sometimes I beat them to make them behave. I can’t remember if I hit Manny. Manny was an average pupil. Sometimes he was naughty. Sometimes he was good. There are no perfect children. Rosalio’s new home under construction. Dressed simply in shorts and a T-shirt but wearing a gold necklace, watch and bracelet, Rosalio says the stories about Pacquiao’s humble background – dramatised in film called Kid Kulafu (his nickname as a teen boxer), which was released across the Philippines this month – have not been exaggerated. The relationship between father and son has not always been harmonious, however. After the family moved to General Santos, Rosalio left his wife and children for another woman and – Pacquiao later claimed – killed Manny’s pet dog. Pacquiao’s trainer, Freddie Roach, claimed in a 2009 interview that Rosalio not only killed but also ate the pet. Pacquiao did not set eyes on his father for nearly two decades after the dog’s death. In 2009, Rosalio visited the United States to watch a fight, and he was reunited with Pacquiao and his mother. “I was not bitter or mad any more,” Pacquiao writes. “I forgave him immediately. 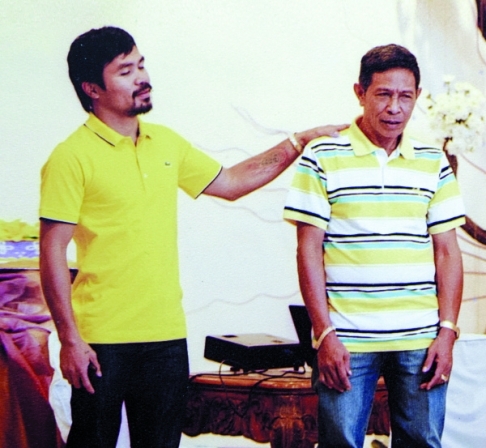 Pacquiao with his father, Rosalio, at a birthday party for the boxer’s grandmother in General Santos. However, Rosalio confirms he is now much closer to his son and has flown to see him in seven fights since their reconciliation. He proudly shows a picture of Pacquiao with his arm resting somewhat awkwardly on his shoulder at a birthday party for the boxer’s grandmother, in General Santos, last year. 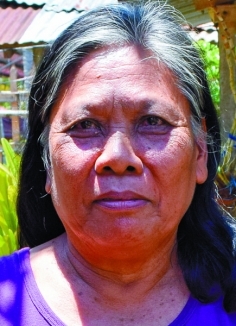 Pacquiao’s mother, Dionisia, in 2010. 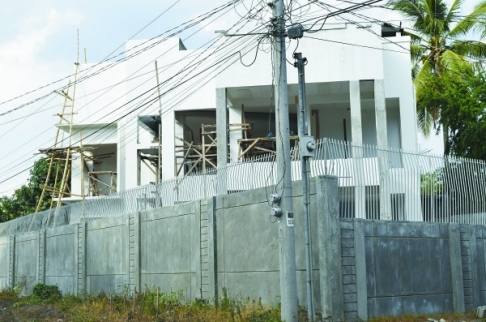 Pacquiao’s flamboyant mother, Dionisia, who unlike his father regularly appears on TV and in newspapers and magazines, has a 40-year-old boyfriend and lives in a luxuriously appointed American-style villa on the outskirts of General Santos that is guarded by a gaggle of young security guards in sportswear and baseball caps. “She can’t see you – she’s doing a photo shoot,” one of the bodyguards tells us at the gate before taking our calling card and disappearing inside. Like Pacquiao’s father, Dionisia will be at the heart of the glamour of the MGM Grand Hotel and Casino in Las Vegas for the Mayweather fight. For Mejia, however – who is uncannily like a Filipino version of the Burgess Meredith character Mickey the trainer from the Rocky films – the setting for the biggest fight of Pacquiao’s life will be the rough streets of General Santos, where he first lit the fuse of the boxer’s passion for the sport. “I never went to see him when he fought in Davao so I’m not going to travel all the way across the world to see him fight,” he laughs. But with a moving devotion to Pacquiao’s career, Uncle Sardo watches every contest and, as he used to do with the Tyson bouts, analyses his every move. Some of the boxer’s relatives in Tango. Even though he is not part of the lavishly rewarded entourage of trainers and advisers who accompany Pacquiao in his world of mega-stardom, Mejia seems as thrilled as anyone at the spectacle of the scrawny kid he introduced to boxing etching his name on the roll call of the sport’s all-time greats.